I got a LinkedIn invitation today from a student I taught in an AP Computer Science class a couple of years ago. 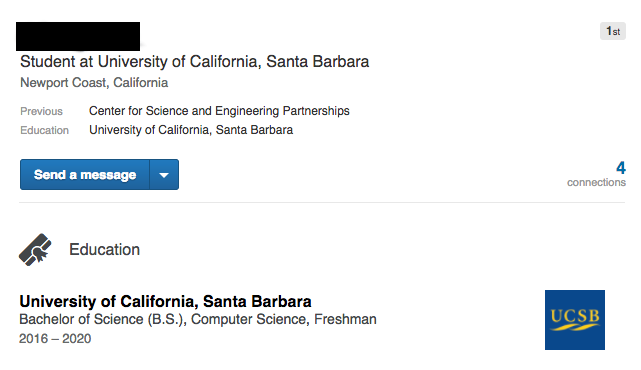 She’s now a computer science major at UCSB. Several of the kids from that class are now in college as computer science majors. Some of them would have been computer science majors anyway, without the class — they came in already having programming interest and experience — but this young lady was not in that group. She was quiet in class but when I worked with her one on one, she asked a lot of questions. She asked them quietly but she asked. And when I told her to do something a certain way she always asked why.